 February 3, 2016 | Advertising Disclosure | Our Sponsors may be mentioned in this article. 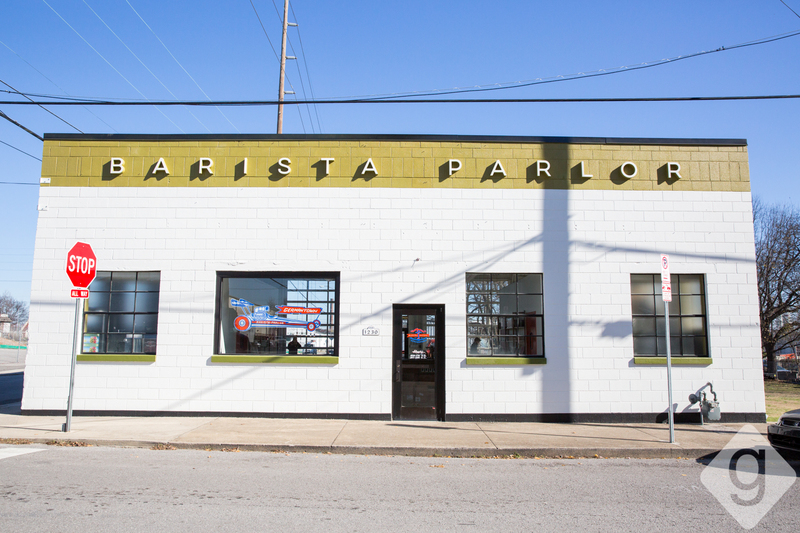 Barista Parlor, one of Nashville’s most beloved coffee shops, officially opens to the public in Germantown on Thursday, December 17, 2015 at 7am. 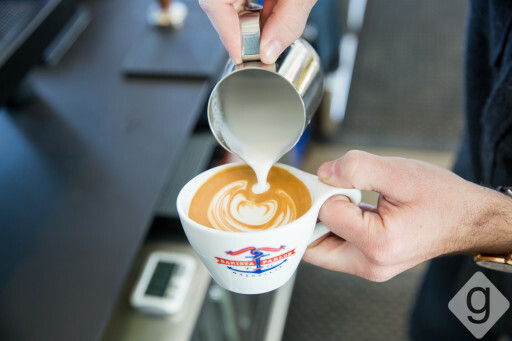 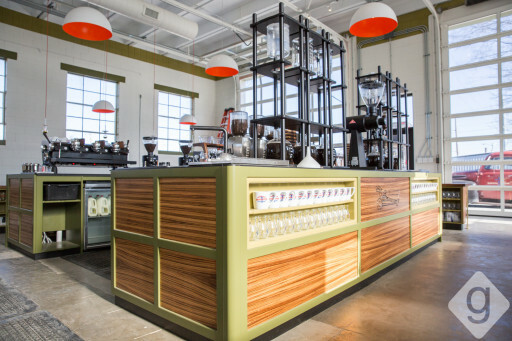 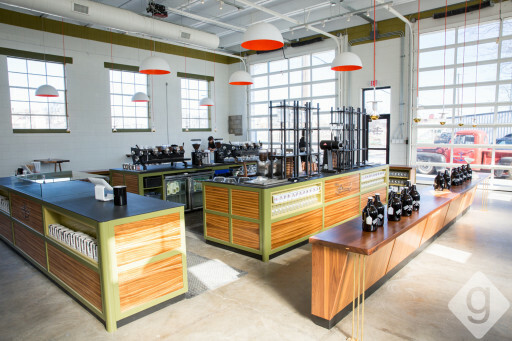 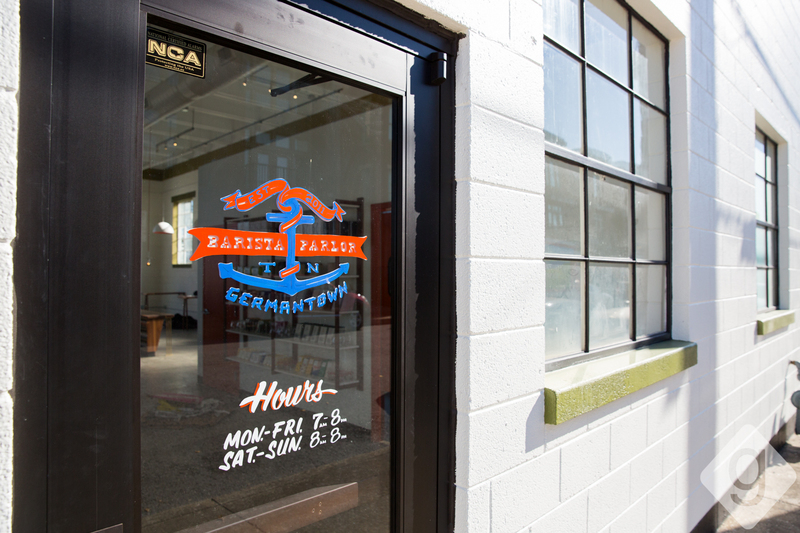 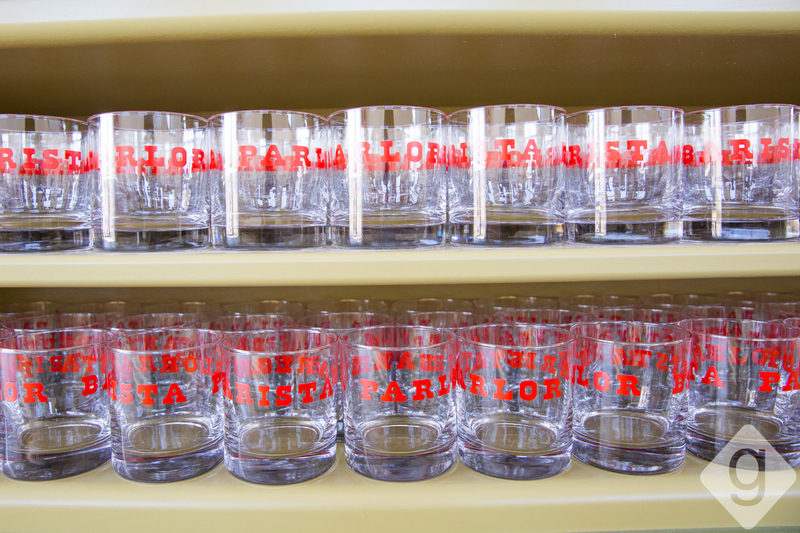 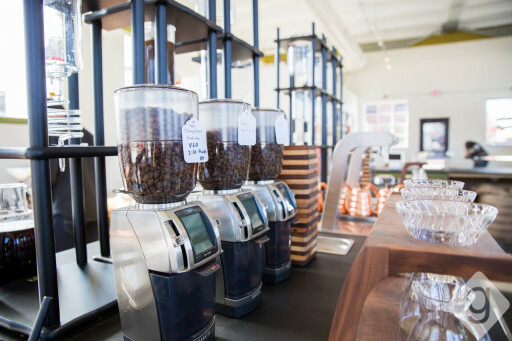 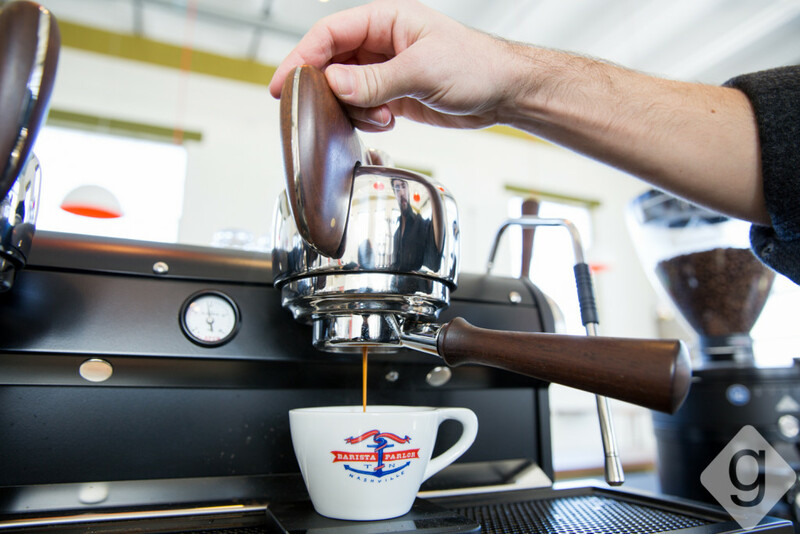 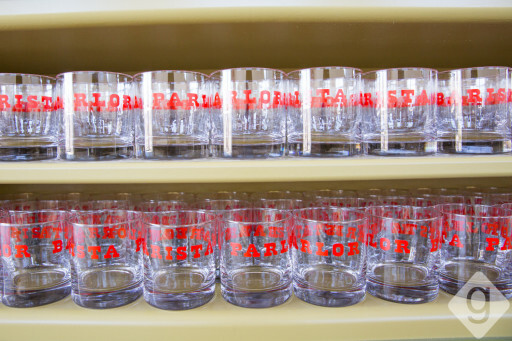 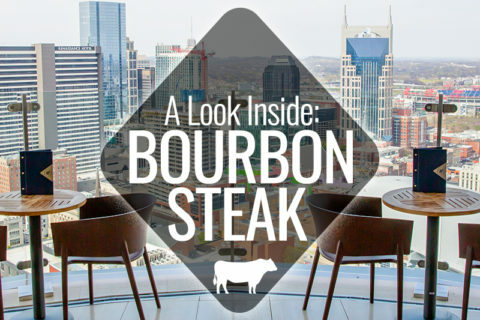 Germantown marks the third Barista Parlor location in Nashville. 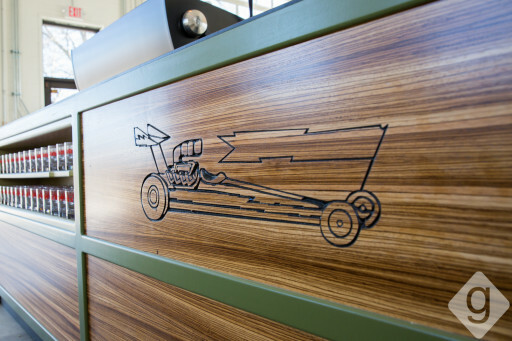 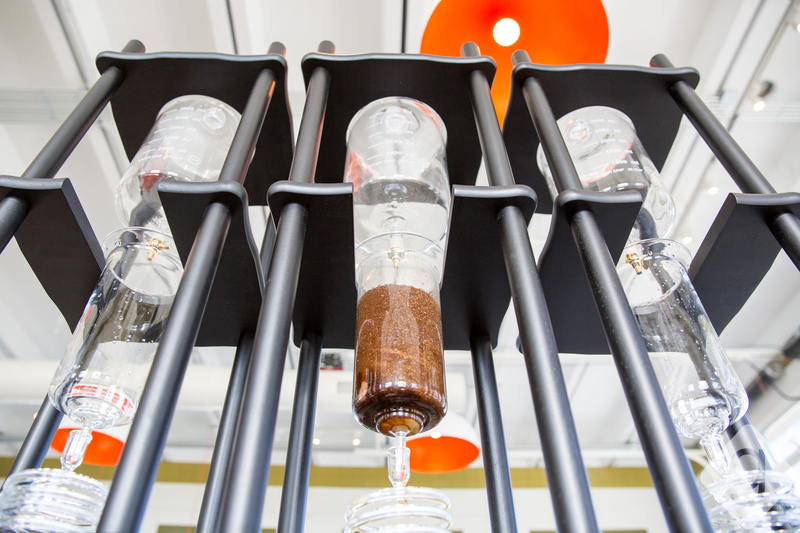 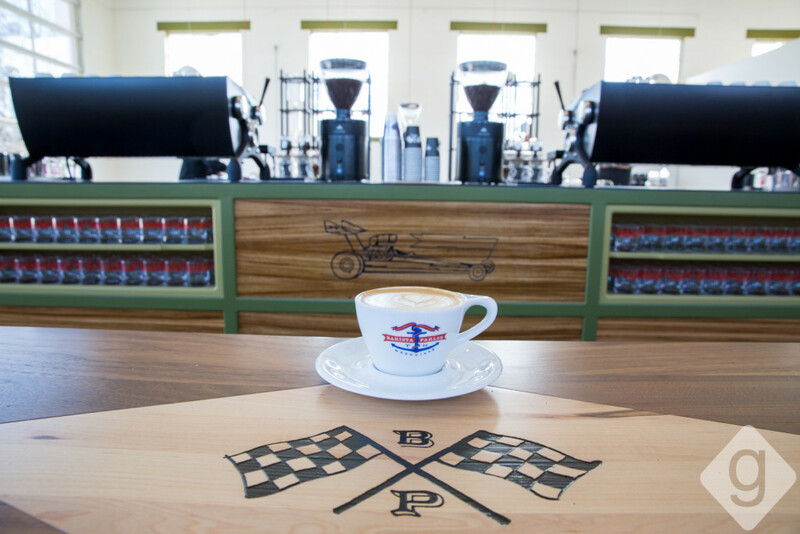 Each Barista Parlor has a different theme, which is represented in the artwork and decor. 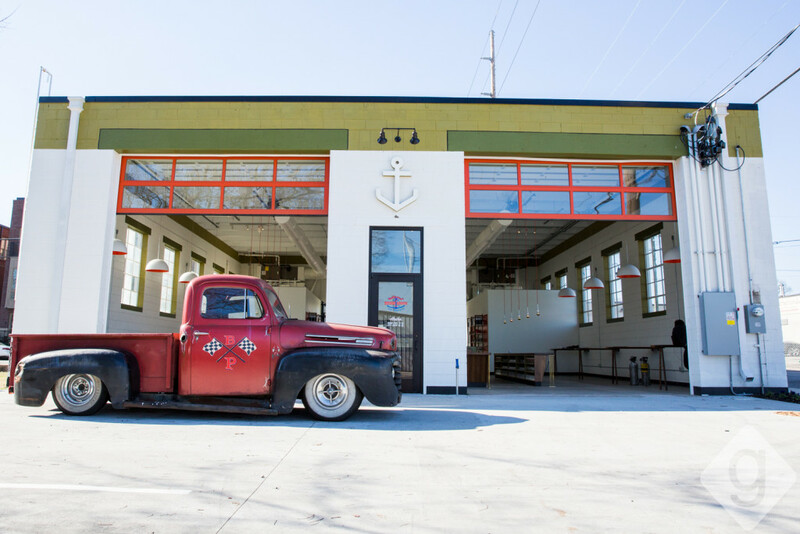 East Nashville is “sea,” the Gulch is “air,” and Germantown is “land.” Germantown completes owner Andy Mumma’s “Land, Sea & Air” trilogy. 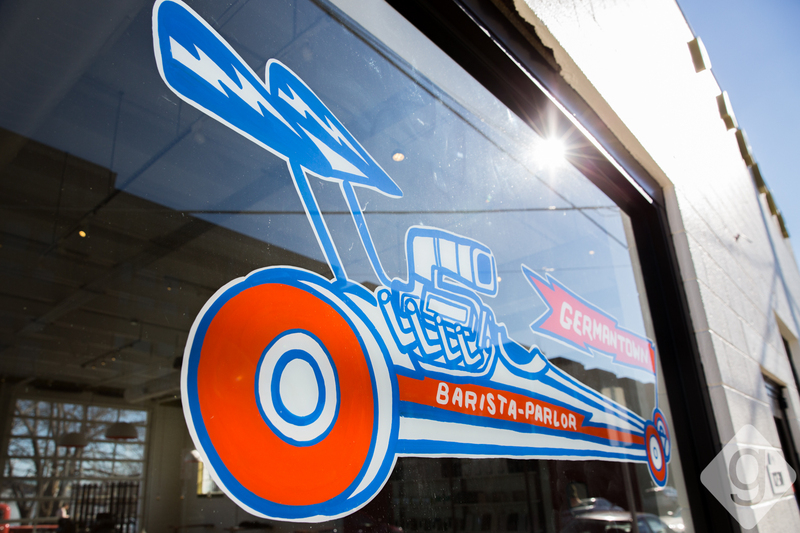 Mumma is known for giving new life to old spaces, and it holds true at Barista Parlor Germantown, which was a sign shop for decades. The room is bright, airy, clean and minimalistic. 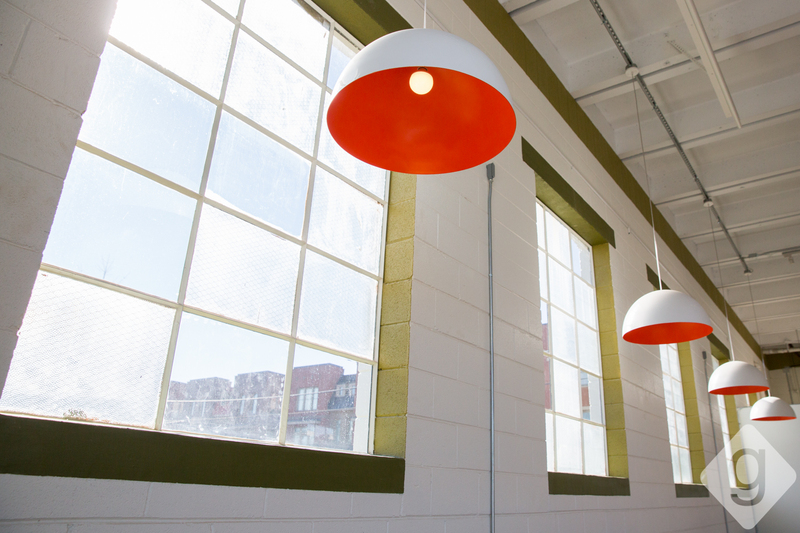 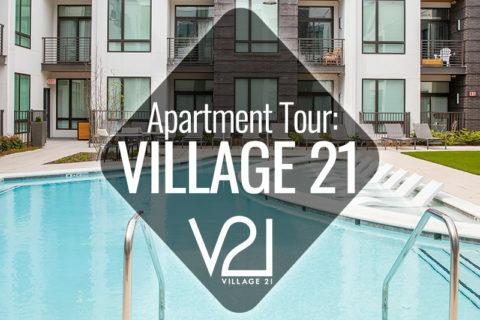 The garage doors let in ample natural light and fresh air when the weather is nice. Barista Parlor’s “daredevil” red is featured in the overhead lighting, which add a pop of color throughout the mostly white space. 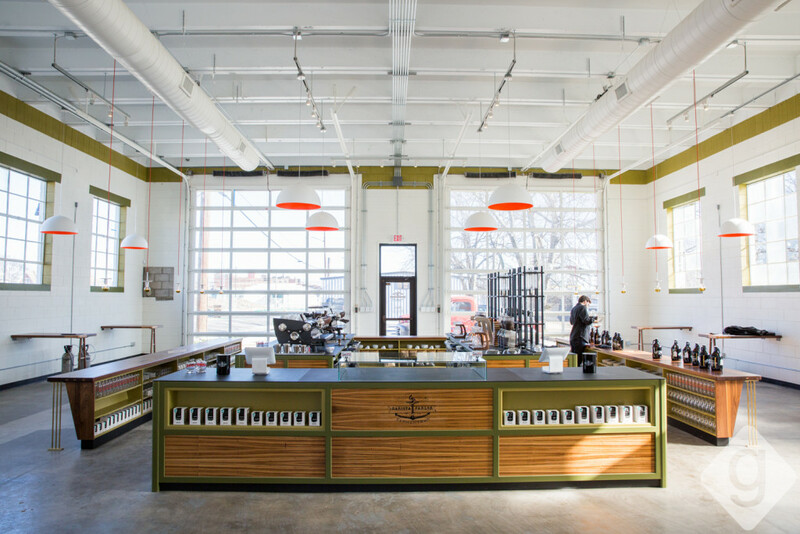 The centrally-located barista bar is the focal point, though, which is neatly decorated with cups, glasses, and coffee equipment. Barista Parlor Germantown is easy to find at 1230 4th Ave North, Nashville, TN 37208 (Map) across from 312 Pizza Company. Future hours will be 7am to 8pm Monday through Friday and 8am to 8pm on Saturday and Sunday. 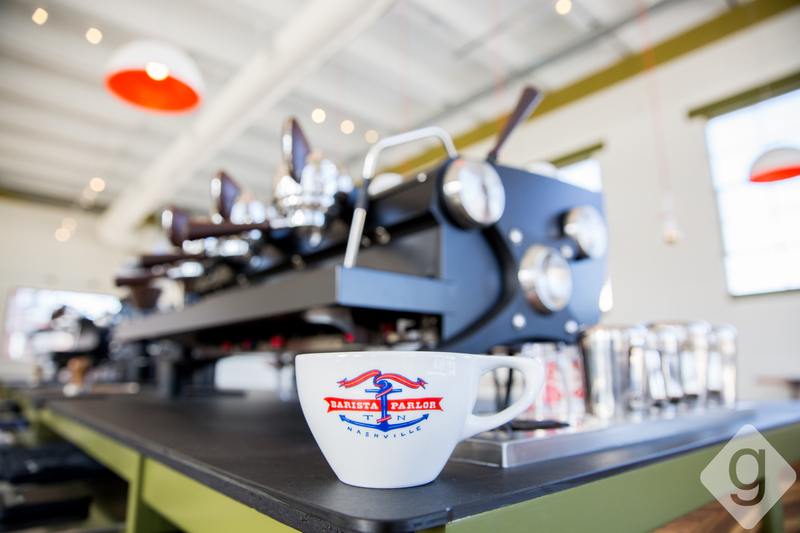 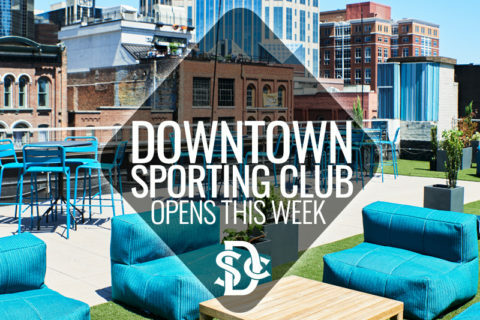 Normal hours are expected to begin December 11, 2015.